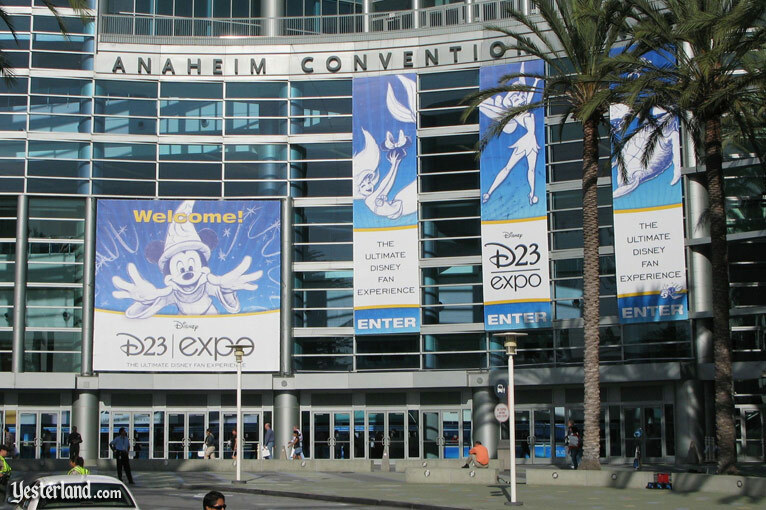 The third biennial D23 Expo begins today in Anaheim, California. This promises to be the best D23 Expo yet. I regret that I can’t be there. I also had to miss the 2011 D23 Expo. I thought it would be fun and appropriate to roll back the calendar to 2009 to take another look at the first D23 Expo. This article was originally published September 17, 2009. 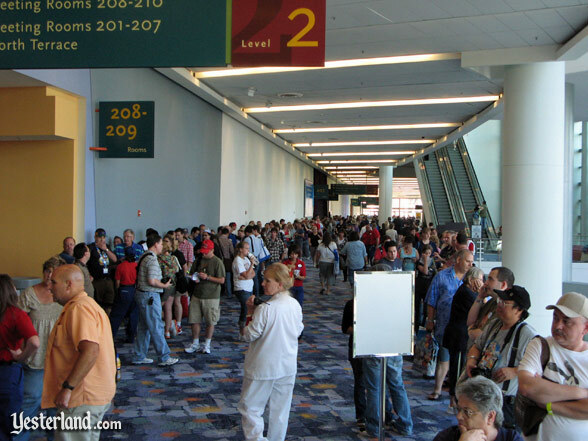 The huge D23 Expo was in the huge Anaheim Convention Center. 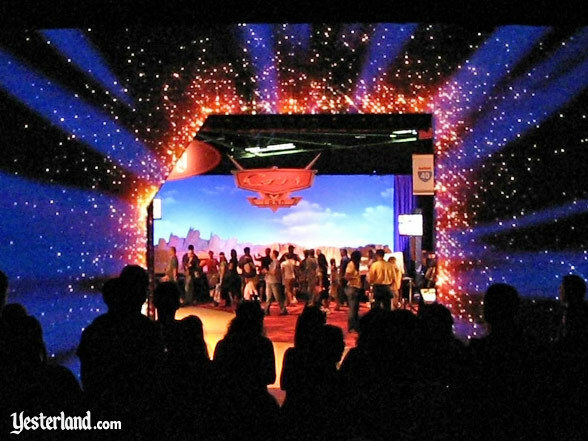 The first ever D23 Expo, a four-day convention billed as “The Ultimate Disney Fan Experience,” is now history. This was the first time that Disney organized a convention for fans of (almost) all parts of The Walt Disney Company, including parks, consumer products, the studio, and broadcasting. Disney-owned ESPN was absent. And, not surprisingly, there was nothing yet from Marvel Entertainment. I arrived early each day. Most evenings, I went to programs—and the one evening that I didnt, I went to Disneyland until 11 oclock. By the end of the four days, I was exhausted. But I was exhausted in a good way. Overall, I was very impressed. 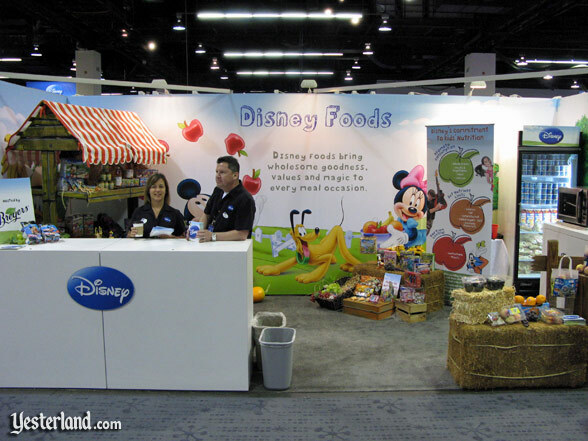 The Disney Foods booth was not busy—except when they were giving away samples. Just because all Disney business sectors were represented didnt mean that they all drew crowds. ABC tried hard to get D23 Expo attendees to attend screenings of new ABC shows. While I was in a line waiting for an Imagineering presentation, an ABC employee offered t-shirts to anyone who would go to the ABC screening instead. Nobody in the line took him up on his offer. 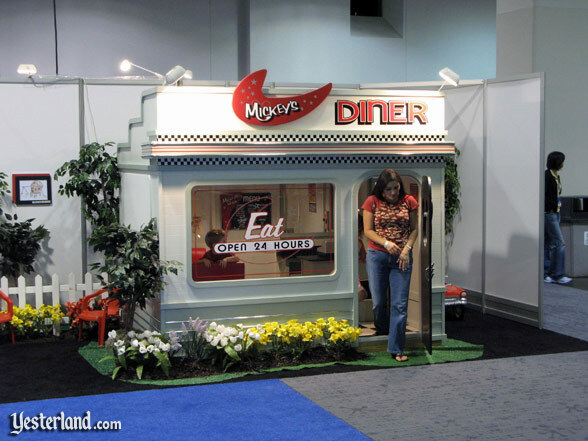 Mickeys Diner from Lilliput Play Homes costs $7,200. I have to admit it was interesting to see just how many categories of consumer products are targeted at Disney fans or at parents who want to surround their children with Disney. 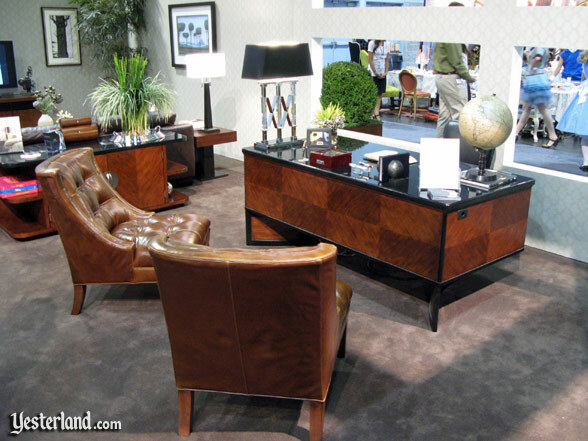 You can buy a desk inspired by Walt Disneys office desk. You can even furnish your whole house with Disney furniture. That doesnt have to mean furniture in Mickey Mouse colors. Much of the furniture on display at the Disney Fashion Home display was elegant, in an Art Moderne style with exotic woods or a Mid-Century style with fabrics inspired by Disney artists. The Walt Disney Parks and Resorts pavilion has a queue, just like a Disney park attraction. 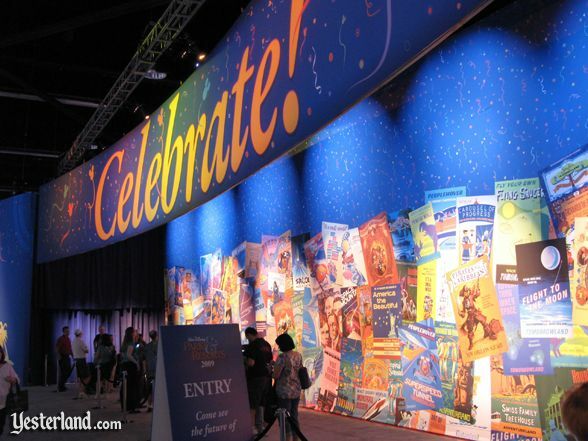 The people at the Walt Disney Parks and Resorts business sector understood the D23 Expo audience and delivered a spectacular pavilion in the center of the main floor. There was no sales pitch for Walt Disney World and the Disneyland Resort. The outside of the pavilion said “Celebrate!” but this wasnt a rehash of the “What will you celebrate?” ad campaign. The Walt Disney Parks and Resorts pavilion was filled with Imagineering artwork and models showing never-before-seen details about Cars Land at Disney’s California Adventure, the three new lands at Hong Kong Disneyland, and the Disney resort at Ko Olina, Hawai‘i. 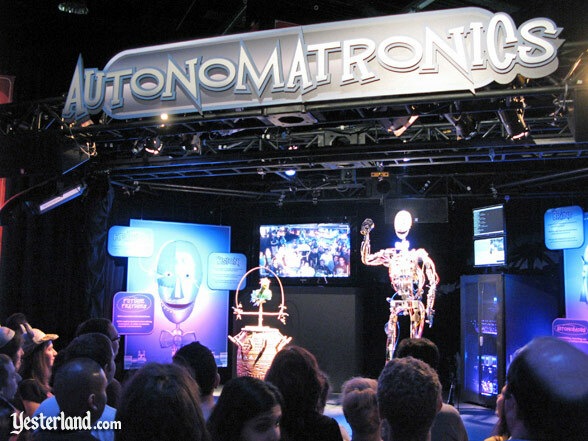 The latest generation of Audio-Animatronics can even recognize who is and isnt smiling. There were terrific new technology demonstrations. The original Audio-Animatronic Abraham Lincoln from the 1964 New York Worlds Fair was on display. And best of all, the pavilion was staffed with a small army of actual Imagineers from Walt Disney Imagineering (WDI), not trade show models with canned spiels. The Imagineers had one-on-one conversations with D23 Expo attendees (without revealing secrets, of course). The 400-seat Storytellers Theater was too small. 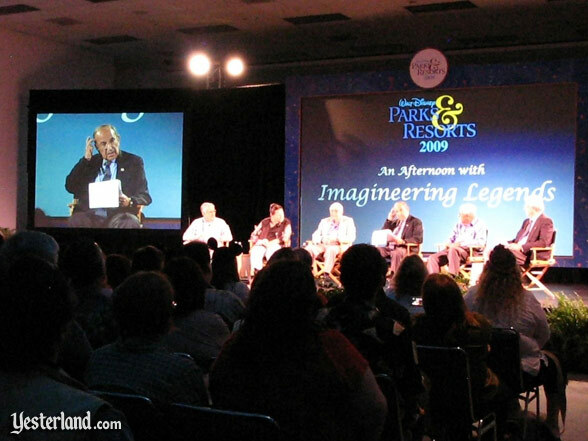 Walt Disney Parks and Resorts also offered panel discussions and presentations in a meeting room seating around 400 people. They scheduled a total of 14 sessions (13 unique sessions and one repeat). Most dealt with Imagineering, and they all sounded great to me. I heard a lot of comments the next day from people who were disappointed that they could not get in. I have no idea how many D23 attendees were turned away, but I imagine the number is far greater than those who got in. 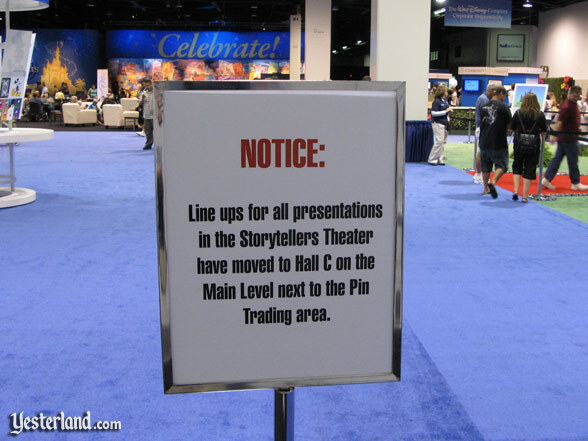 Long lines formed for presentations in the Storytellers Theater. The second morning (Friday) was a fiasco. I arrived before 8:15 a.m. for the 9:00 a.m. Disney Cruise Line (DCL) presentation by Karl Holz, DCL president. (I had wanted be there at 8:00 a.m., but I ran a bit late.) Inexplicably, the capacity of the room had been cut in half. A cast member with a clicker told me I was number 197, that the room held 198, and I was in. I asked what would happen if more people got in line ahead of me. She assured me that she would personally see to it that everyone up to number 198 got in. So I stayed in line. You guessed it. I didnt get in. The cast member had disappeared. About 30 people ahead of me (who had all been told they would get in) and over 100 people behind me (who hoped they might be allowed in) didnt get in either. It was a rotten way to start the day. A manager came by around 10:10 a.m. He had an “offer” for those of us who were denied the 9:00 a.m. session: We could move to a queue across the hallway, and we would the first in line for the 12:30 p.m. session (which was about a day in the life of an Adventures by Disney guide). Needless to say, nobody thought that was a wonderful idea. To his credit, he also patiently listened to complaints, comments, and suggestions from those who were locked out. Vouchers were introduced to prevent line cutting. 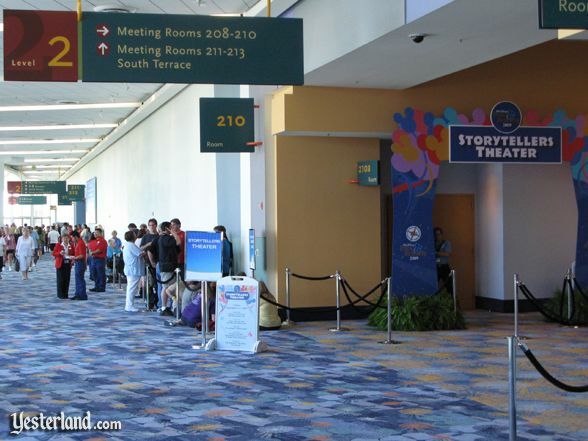 The organizers of the D23 Expo shifted into high gear to make sure that there would be no repeat of Friday morning. By Friday afternoon, the Storytellers Theater once again had around 400 seats. People received vouchers as they got into line, with the number of vouchers being the same as the number of seats. Only people with vouchers would be allowed into the theater. The sign announces a new place to wait. 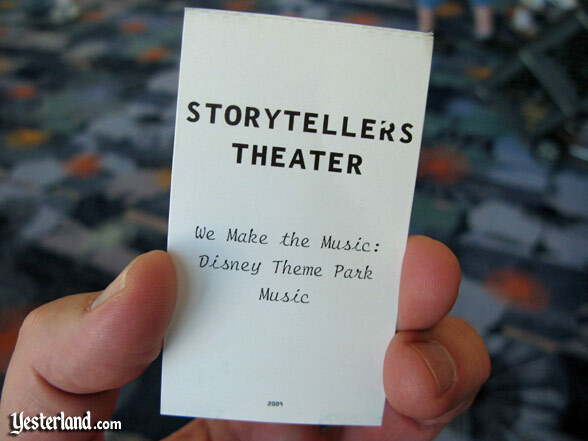 By Saturday, the queues for the second-floor Storytellers Theater were moved to an underused area on the main floor to allow better queue management. An overflow theater with video screens provided additional capacity; although it meant being in a different room than the presenters, it was better than missing out entirely. 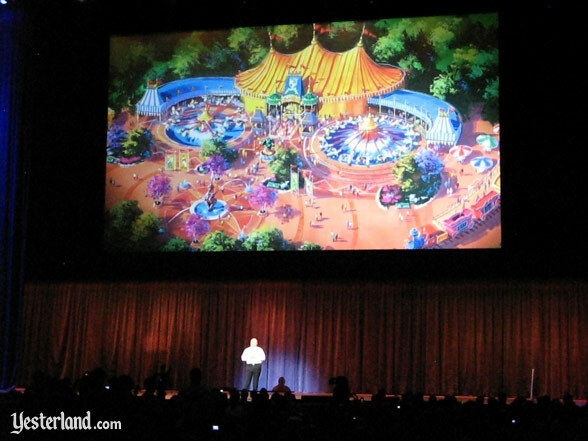 On Sunday, the final day, the space for a panel presentation hosted by John Lasseter was swapped with that of another presentation so that Lasseters panel could be in a 700-seat theater. 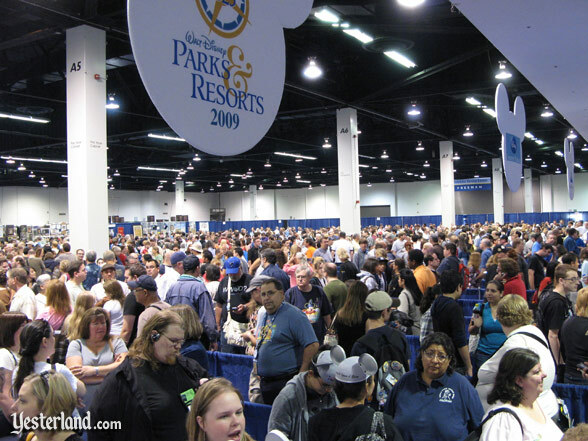 Even with all these actions, D23 Expo attendees still had to wait in long lines for the Parks and Resorts sectors high-demand, low-capacity sessions—and many people still didnt get to attend sessions that they thought they would be able to see when they bought their D23 Expo admission tickets. The “main tent” of the D23 Expo was the Anaheim Convention Center Arena, originally built in 1967 as a basketball arena. 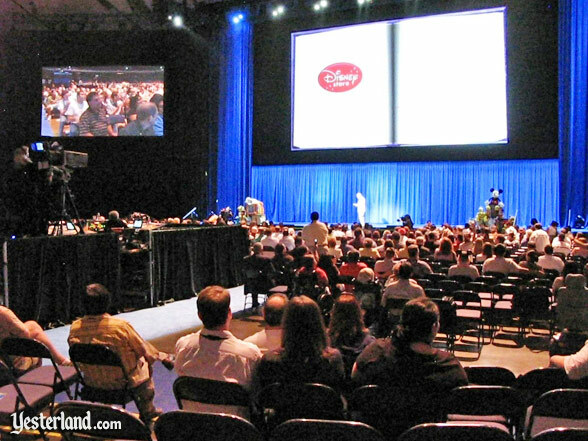 As configured for the D23 Expo, it seated around 4,000 people. This is where the big events, such as Disney Chairman Robert Igers opening keynote took place. In the Arena, there were announcements, film clips, and surprise guests, all presented with Disney showmanship and technical skill. By the now, anyone who cares about the news that came out of the D23 Expo has undoubtedly heard it—often as it happened, thanks to Twitter. 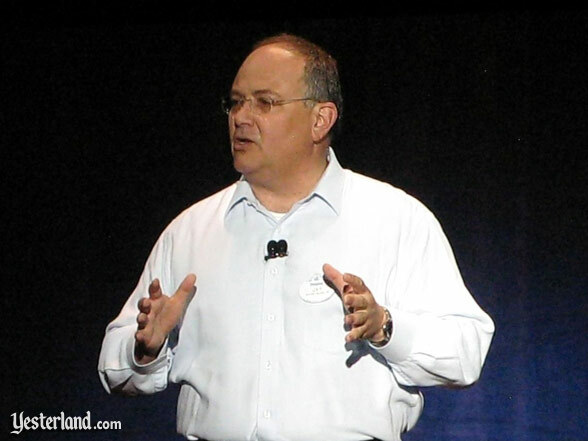 Jay Rasulo announces the new version of Dumbo for Floridas Magic Kingdom. The biggest surprise about the Arena was how often nothing was scheduled. For example, on Friday, the only event in the Arena was the Disney Studios presentation from 11:00 a.m. until 12:30 p.m. Even allowing for time to load and unload the Arena, the Arena was empty most of the afternoon and all evening. Meanwhile, there were possibly thousands of D23 attendees who would have liked to have seen Imagineer Steve Davisons “The Making of World of Color,” but were unable to get in. Elsewhere at the D23 Expo on Saturday afternoon, there were two high-demand Imagineering sessions in the 400-seat Storytellers Theater—turning people away, as usual. I wonder how much of this scheduling was due to corporate politics. In other words, if the studio, parks, broadcasting, and Pixar could have an event in the Arena, then Disney Consumer Products (in the form of the Disney Store) was determined to have an Arena event too. My friends at MiceChat asked if they could schedule me for some appearances at the MiceChat booth at the D23 Expo. I jumped at the chance. It was fun to meet so many Yesterland readers, and it was a great chance to introduce new people to MiceChat, MiceAge, and Yesterland. I wanted visitors to the MiceChat booth to have something they could take away, so I had 5,000 identical “fake vintage” Yesterland postcards printed for the booth. The cards have the Yesterland logo in the middle, surrounded by my photos of Adventures Thru Inner Space, the Midget Autopia, the original PeopleMover, and the Mine Train through Nature’s Wonderland. I still have over half of these cards left. Unless Disneyland reopens any of these attractions before the next D23 Expo—which seems rather unlikely—my postcards won’t go out-of-date. 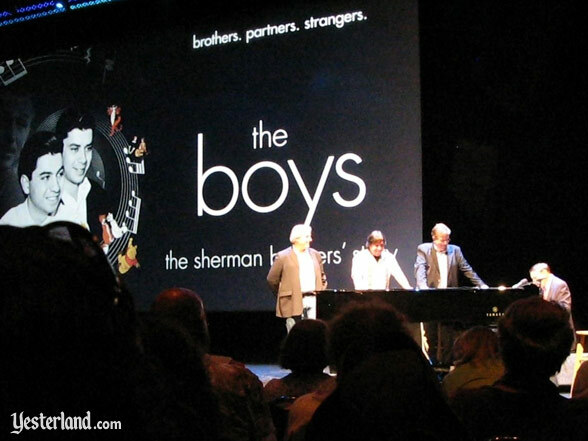 The Boys is a documentary about Robert Sherman and Richard Sherman. Ive spent much of this article discussing problems with theater capacity and lines. That may sound like complaining, but it should also be read as complimenting the compelling programs that created such a demand. The people in charge handled the capacity and line issues with agility. But there were limits to they could do this year. Im very glad I went to the first D23 Expo. Im looking forward to the next one. The “Treasures of the Walt Disney Archives” exhibit included costumes. Make more use of the 4,000-seat Arena, instead of having it sit empty much of the time. Set up additional presentation spaces with over 1,000 seats. Start and end sessions on time. Begin loading a theater well before the start time of a session. Recognize that most Disney fans at the D23 Expo are much more interested in Disney history and Disney parks than in ABC, Radio Disney, or Disney Stores. Schedule repeat screenings and presentations, when practical, recognizing that some people can only go one or two days. Have the Parks and Resorts business sector give lessons to the other Disney business sectors on how to communicate with fans. 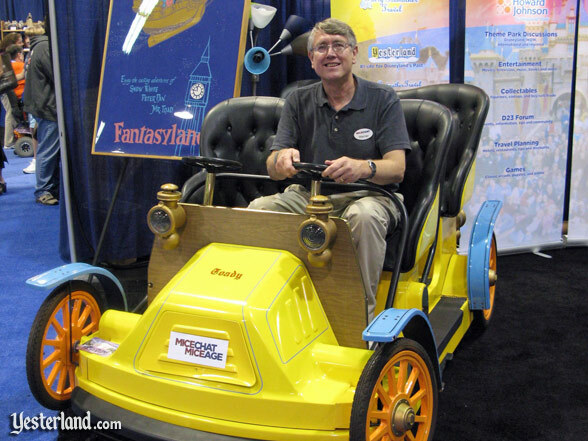 Photograph of Curator of Yesterland in Mr. Toad car by Circarama, 2009. 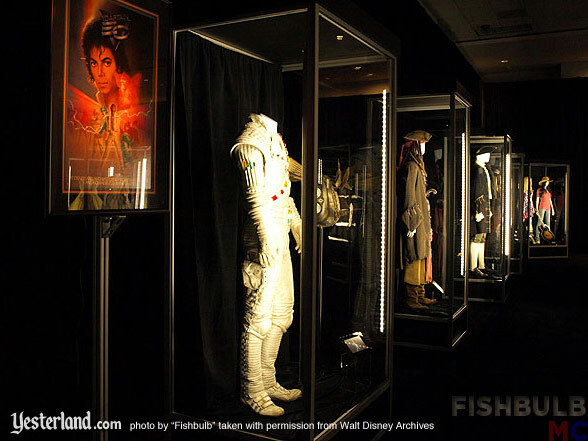 “Treasures of the Walt Disney Archives” photograph by Fishbulb, 2009. All other photographs of the D23 Expo by Werner Weiss, 2009.